California Shakespeare Theater is located on a 10-acre site in a rural watershed setting in the hills east of San Francisco Bay, on lands leased from the East Bay Municipal Utility District (EBMUD). Known regionally as the Bruns Memorial Theater, it is a 550-seat open-air structure in a spectacular natural setting that is being upgraded to provide a world-class performance facility. 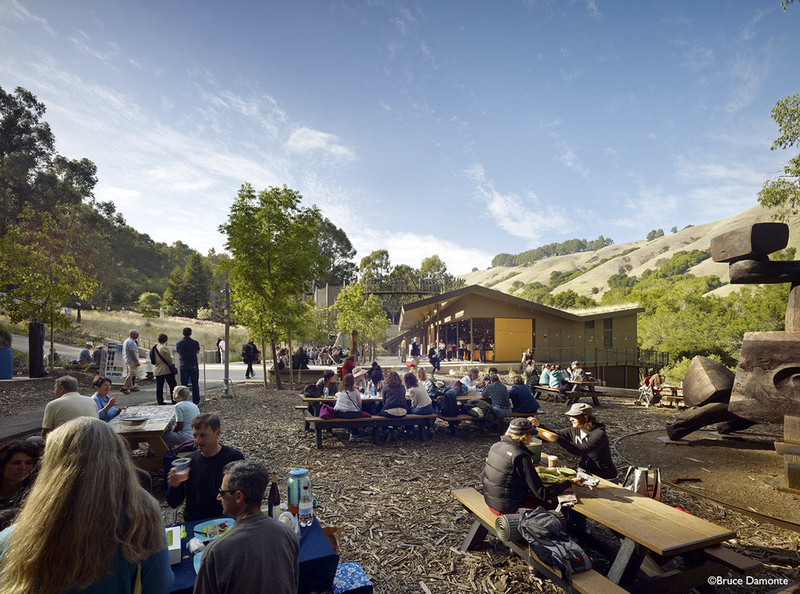 The revitalized landscape enhances patrons’ experience of the dramatic views from the site and of the processional arrival sequence up the hill, through the eucalyptus forest, to the Theater. A sweeping new landform unifies the site, visually connecting an open meadow, green roof and broad vistas to surrounding hills. This re-contoured topography facilitates accessibility and functionality and creates a coherent foreground for the historic Theater structure. New site elements include the Arrival Plaza, the Groves, the Meadow, the Sculpture Garden and the ‘California’ Shakespeare Garden, a native plant garden that flanks a stepped pathway to the Upper Grove. Sustainable site strategies include stormwater treatment, green roofs, green screens and drought tolerant vegetation.